Published Jun 14, 2012 by Peachpit Press. Part of the Learn by Video series. 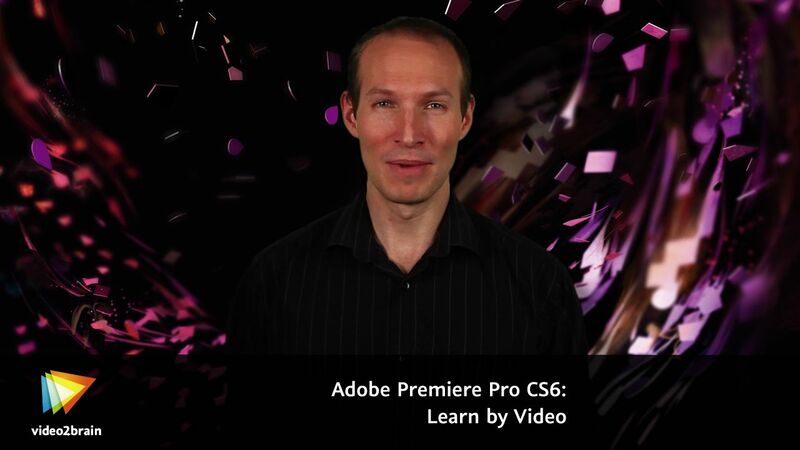 This critically acclaimed training course from Adobe Press and video2brain combines interactive video and a printed reference to teach the fundamentals of Premiere Pro CS6 as well as the basic principles of video editing. Structured around the objectives of the Adobe Certified Associate exam “Video Communication Using Adobe Premiere Pro CS6”, the product combines 15 hours of video, complete with lesson files (included on the DVD), assessment quizzes, and review materials. The video’s unique interface allows the viewer to jump to any topic and bookmark favorite sections. The unique Watch-and-Work mode shrinks the video into a small window to allow the student to follow along with the instructor in Premiere Pro. Experienced instructor Maxim Jago introduces core non-linear editing techniques as a first step to using advanced edits, with special effects, complex timelines, titles, clean audio and music. By the end of this course, the student will be able to work with multiple media types, create sequences and output to multiple formats using Premiere Pro CS6. Maxim walks the student through the complete editing process using Premiere Pro CS6, including importing media, using clips and markers, adding transitions, correcting color, and compositing. New features get special treatment, like stabilizing footage without visiting After Effects, applying effects via adjustment layers, and streamlined trimming using JKL dynamic trimming, which allows you to play your edits and adjust the timing of your cuts in a single step. 1.1 What Is Adobe Premiere Pro?